Should I use F*a*C*E Synergy serum or vitamin C+ Firming serum or both? Okay, maybe they don’t say exactly those words but Dr. Glow Girl understands in her heart what could transpire without a little immediate assistance from a skincare expert! To avert this possible skincare emergency…. 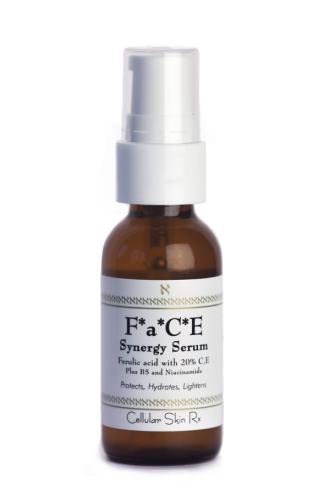 If you are trying to correct uneven skin tone caused by sun exposure, working hard to erase brown patches and control melasma and want some niacinamide to plump wrinkles and brighten your lovely visage to the radiance of a much, much younger person, THEN use F*a*C*E Synergy serum. If you are trying to protect your skin from the ever present free radical damage caused by UV rays, stress, smoke and pollution, refine skin texture and tone and get a collagen production bump THEN use vitamin C+ Firming serum. If sadly you are a Glow Girl from the era of incompetent sunscreens and yes really, baby-oil-and-iodine days, you may have visibly uneven skin tone with clearly identifiable brown spots, freckles, melasma and you might even be seeing some fine papery wrinkling. But don’t panic! Use BOTH F*a*C*E Synergy serum AND C+ Firming serum and watch the repair process begin. You will see excellent results before you hear the first gobble-gobble of that doomed turkey on Thanksgiving day. Here’s how to use both for the best results – Use F*a*C*E Synergy serum each MORNING (CSRx Antioxidant Complex can be applied under this for an extra antioxidant boost) and apply C+ Firming serum each NIGHT. Pretty simple, right, Glow Girls? And remember to breathe now. Just take a nice deep breath. Good! Here’s the skinny on why two can be better than one, darlings. When your C is used at night, the l-ascorbic acid doesn’t need to capture free radicals caused by UV rays and pollution. Instead, it’s free to put all of its powerful ability to prompt your skin to synthesize more, more, more collagen. Always remember to use sunscreen or your results will be diminished. And who wants that? Still have questions, Glow Girls? Use the super convenient comment boxes below and I’ll get back to you quicker than one Chanel handbag can tap out your credit card! 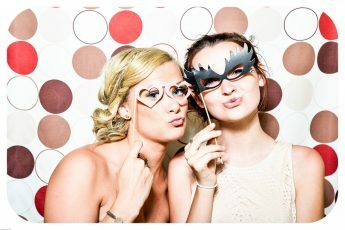 Here’s to a fabulous complexion! Can I use Retin-A with C+ Firming Serum at night? Thanks for your question! I would patch test this combination first. Generally Retin-A should be used alone or with a topper of moisturizer after waiting 20 minutes for the tretinoin to penetrate the skin. The C+ Firming serum is slightly acid and combined with the retinoic acid might be too much for any but the most insensitive complexion.